START is approx. 0.25 from Car Park/Signing On. 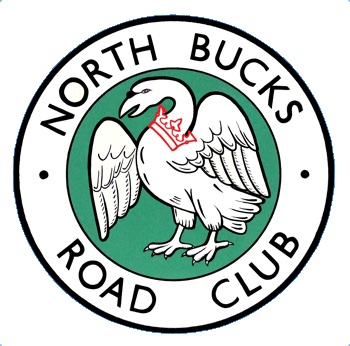 The event starts at 7.00pm, Wednesday 12th March, and entry is on the line at £3.00 (NBRC members), £5.00 (non-members). Maximum number of riders 30. The meeting point is in the car park by the river, on Calverton Road, near the start by Milford Avenue. Rather a windy night, though the rain held off until I was riding home! Several of us had trouble at the turn with traffic on the A421 causing significant hold-ups. The new start point was not satisfactory, and seemed to annoy quite a few motorists, so we'll need to re-think this. 1 15 James Richardson NBRC 23.14 Sen.
2 2 Graham Knight JCA Equipe Velo 23.58 Sen.
3 5 Barry Connolly TeamMK 24.19 Sen.
7 14 Jonathan Peters TeamMK 27.06 Sen.
11 10 Nathan Gallavan NBRC 28.07 Sen.